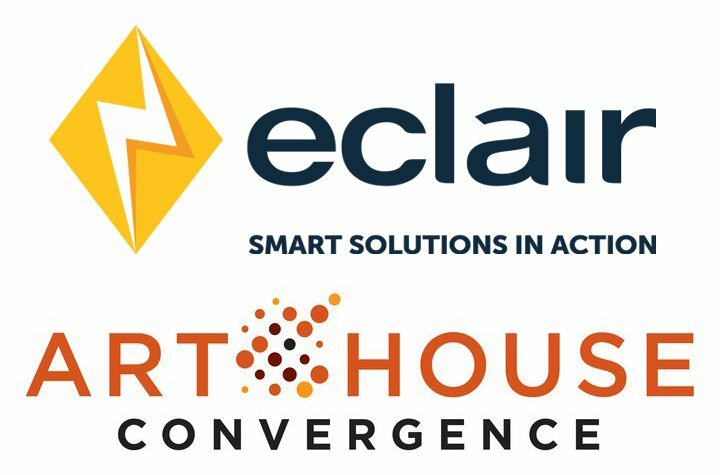 Ann Arbor, Michigan & New York & Paris (March 9, 2017) – Eclair, Ymagis Group’s content services business unit, today announced a strategic alliance with the Art House Convergence (AHC), USA’s premier non-profit association in support of independent film exhibition and distribution. This new alliance was sealed during AHC’s 10th Anniversary Conference held just prior to the 2017 Sundance Film Festival. As part of the alliance, Eclair’s CineConductor for DCP Management & Delivery via Broadband Network becomes AHC’s preferred “next generation” broadband digital cinema services provider in the US. Launched at the AHC’s 2015 event, CineConductor rapidly expanded to well over one hundred sites, many of which are ongoing AHC participants. Over half of the more than one hundred plus cinema venues and two thirds of the rights holders attending the 2017 AHC have already been CineConductor users. Cinema venues new to the service that attended both 2016 and 2017 AHC events are also entitled to receive additional benefits with CineConductor. Terms of the partnership include Eclair’s ongoing financial support for the AHC’s Scholarship Fund, which subsidizes selected cinemas to enable them to attend the annual conference held in Midway, Utah the week leading up to the Sundance Film Festival. The Art House Convergence annual conference is presented in participation with the Sundance Institute Art House Project, a joint program in support of the indie film exhibition and distribution community. CineConductor, Eclair’s innovative and highly regarded DCP Management & Delivery via Broadband platform, offers “DCPs without hard drives” to over one hundred Specialty Film & Event Cinema exhibitors in service to over three dozen prestigious rights holders based in the States and overseas. The AHC/Eclair USA program is now available to interested and qualified venues. The agreement has an initial term of two years, subject to renewals as agreed to by both parties. In addition to the strategic alliance with the AHC, Eclair also announced a complimentary program with the Film Festival Alliance, which holds its own conference in association, and simultaneously, with the larger Art House Convergence gathering. The Art House Convergence began in 2005 as the Sundance Institute Art House Project, celebrating the 25th Anniversary of Sundance Institute by honoring a small group of leading U.S. Art House theatres. This grew into the independently run Art House Convergence, which in 2008 presented its first annual conference, an industry educational program designed to empower and inform independent cinemas nationwide. The growth of the Art House Convergence and its development of research, surveys and year round communication among art house theaters affirm that the organization has evolved into a leading national resource for the support of independent film and the promotion of film culture in local communities. The upcoming annual conference will be January 15 – 18, 2018 in Midway, Utah. For more information, please visit arthouseconvergence.org.